Many organisations are still receiving thousands of pieces of post weekly. Our survey showed that 30% of respondents cite delays in processing inbound mail as having a negative effect on their performance or reputation while 40% stated that mishandling mail has a negative impact on customer service levels. 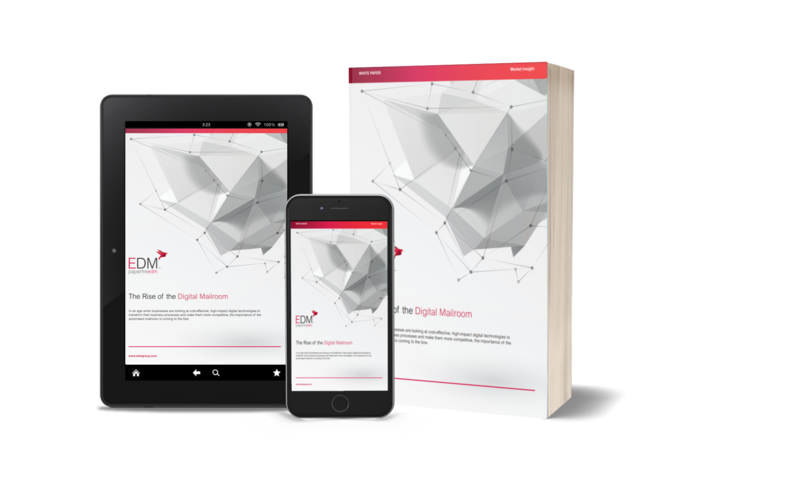 Download our free Whitepaper and learn more about Digital Mailroom solutions for your organisation. 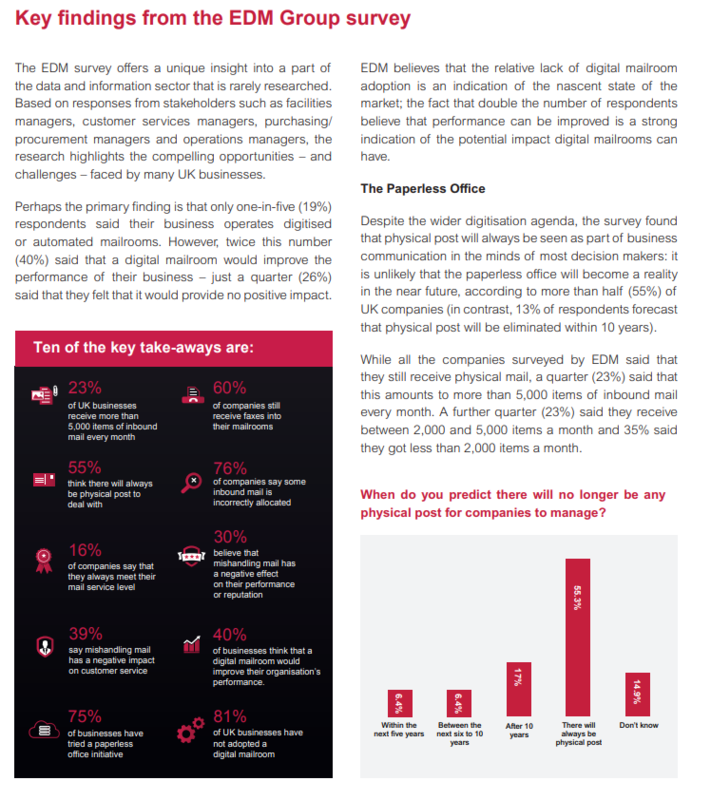 HMRC chose EDM for digitising, indexing and managing around 20 million pieces of inbound mail per year. 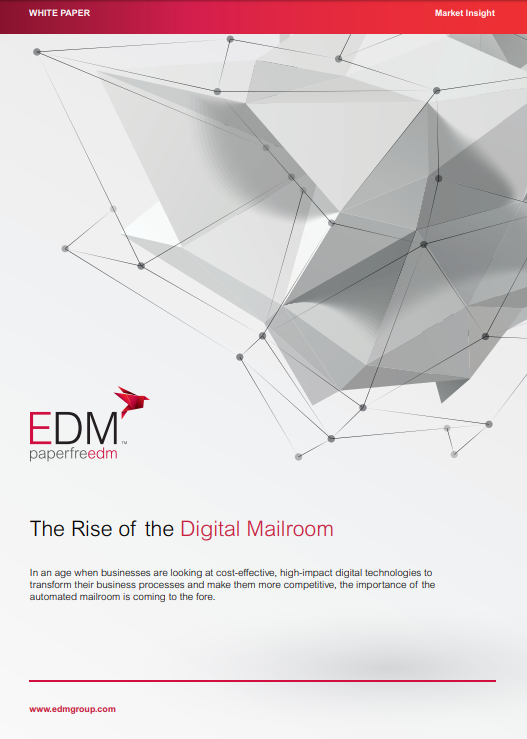 EDM delivered a dedicated outsourced Digital Mailroom environment within 4 months of project kick off. This mailroom now processes over 30,000 mail items per day within SLA’s of 36 to 48 hours. An efficient Digital Mailroom, with adequate staffing, can process most documents within 24 hours of arrival.